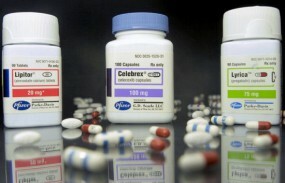 “Discovering dangers of prescription drugs after they have been marketed to the medical community and public is common. Generally, 51% of FDA-approved drugs have serious adverse effects not detected prior to approval. (1) Each year prescription drugs injure 1.5 million people so severely they require hospitalization. In addition, prescription drugs cause 100,000 deaths annually. (2) With these numbers, how can the public be protected from dangerous drugs? US General Accounting Office. FDA Drug Review: Postapproval Risks, 1976-85. Washington, DC: US General Accounting Office; April 26, 1990. GAO/PEMD-90-15. Lazarou J, Pomeranz BH, Corey PN. Incidence of adverse drug reactions in hospitalized patients: a meta-analysis of prospective studies. JAMA 1998;279(15);1200-04.